Acupressure is a natural healing modality in which light to moderate pressure is applied to acupuncture points with the thumb, fingertips, palms, forearms and elbows. Acupressure helps balance the energies along the meridian systems. In this acupressure class for couples certified and licensed practitioners teach couples acupressure techniques that can assist with reducing pain and discomfort as well as reduce stress. Under the tutelage of the teacher partners will settle into a 1 and ½ hour crash course covering acupressure techniques in a small group of like-minded pairs. Make tension disappear with knowledge of meridian systems. Students spend the first 30 minutes ingesting information as a group before putting their lessons into practice during a 1 hour of hands-on demonstration. Instructors work with the couples to guide them through the finer points of acupressure techniques in a relaxed carefree way. To receive Advanced Aromatherapy Certification all four levels must be completed. Essential oils have been used for hundreds of years for ritual, perfume and therapeutic purposes. This class we will cover the history, philosophy, benefits, therapeutic use and body system affinity of the most commonly used essential oils. Information on safety, how to choose a source for essential oils and application techniques is also included. Essential oil kit included. Students will learn Vitaflex and Raindrop Techniques by Gary Young, including 3 hours of practical. Discuss benefits, physical and emotional actions of essential oils chosen for raindrop. Essential oils kit included. Students will learn how to choose oils for emotional and spiritual applications. Practical will include using acupoints with essential oils. 3 hours of practical application. Essential oils kit included. Students will make products using essential oils and other natural substances such as bath salts, lip balms, insect repellant, skin balm, headache/pain relief salve and more. Essential oils and materials included. Certification for Aromatherapy Practitioner by ANHA** requires Level I to IV, written exam. **American Naturopathic Holistic Association is a peer reviewed organization for professional health care practitioners and natural health care training institutions. Learn the Body Wrap process, diet and sanitation process in this three-day class. Thirty practice hours are recommended in the proper development of the technique. “Grounding” refers to the efficient flow of our Life Force moving thru the Chakras. Learn about the Chakra System and how to balance this primary energy system of the body at an introductory level. The student will learn how to evaluate when the Chakra System is not operating efficiently. When Life Force is restricted it causes harm in each of the body’s systems, mental and physical. More and more imbalances are being traced back to this. The costs to our bodies is evidenced in all stress related diseases, mental confusion and just the feelings of being overwhelmed that many of us experience. When the Chakra System is aligned and cleared symptoms can be greatly reduced as a result they become much more manageable by other healing modalities. Learn the principles and promises of Chinese Herbal Medicine. Qi and the four vital bodily humors, yin and yang, the five elements, meridians and causes of disease in relation to the most widely used Chinese herbs will be discussed. Learn the way to use a bagua to create balance and harmony in any space. Understand how chi flows and how it affects you and your surroundings. Learn how clutter affects health and energy flow. Learn to personalize feng shui by using charting system. Learn how to use feng shui to promote health and prevent problematic areas in life. The Foods for Health class teaches the student the health benefits to foods when assisting clients in promoting optimum health. Single remedy herbal treatments are presented in these beginning level classes. Learn how to treat common ailments. The class will discuss herbal history, constituents of herbs, and treatment of many common ailments. Advanced herbal pharmacology, the making of herbal tonics, and advanced herbal care of chronic health conditions will be presented in this class. Become aquainted with the natural substances in plants that influence healing. Herbal Medicine Level 1: System Affinity and Terminology as related to herbs and essential oils. The study of history and philosophy of Western Herbal Medicine including medical, herbal, and botanical terminology. The student will learn how to use essential oils and herbal remedies safely. Ailments of the Digestive system, Circulatory system and Respiratory system will be discussed. Herbal Medicine Level 2: Detoxification: In-depth study of detoxification to rid the body of pollutants, Candida albicans and parasites. System affinity of herbs continued. Herbal Medicine Level 3: Phytochemistry/Research: The study of herbal phyto-chemistry of several most popular healing herbs, their uses, ratings, safety issues, dosage, and research behind the plant. Herbal treatments will be discussed for over several medical conditions including: cancer, migraines, chronic fatigue syndrome, diabetes, and arthritis. Herbal Medicine Level 4: Eastern Medicine Traditional Chinese Medicine is the second-largest medical system in the world after Western Medicine. The student will learn how use Tongue Analysis and Hara Analysis. Ayurvedic Medicine, the traditional medical system of India, is the third largest medical system in the world. The study of these ancient methods of healing will help incorporate ancient knowledge to modern herbal medicine. Herbal Medicine Level 5: Plant Identification/Harvesting: A detailed study of botany in relation to herbal medicine. Plant anatomy, identifying, cultivating and harvesting herbs. Students will learn how to make their own herbal remedies, including healing balms, lotions, teas, syrups, oils, tinctures, and more. Well also discuss the entire process of preparing herbal medicines at home, from methods of growing, gathering, and drying herbs, to different ways of extracting their vital essences. Students will be expected to send in a sample of a homemade remedy during their final grading. Herbal Medicine Level 6: Vitamin/Drug/Herb Interaction - Students will learn how to avoid making mistakes when using natural supplements and common medications together. The A-Z guide will teach students which drugs can deplete the body's essential nutrients, which help prescriptions work better, or reduce drug side effects, and which herbs and drugs should never be taken together. Herbal Medicine Level 7: Business Procedures Jurisprudence: Students will learn how to set up their own practice and how to avoid legal complications. Standard disclaimer forms will be presented, which should be used while practicing any aspect of herbal medicine. Herbal Medicine Level 8: Case Studies practical consultation with five individuals, write up each case and document recommendations. Completion of this program requires Holistic Nutrition Level I and II. These Holistic Health Care classes are a broad overview of Natural Medicines and therapies. The program also includes the study of ailments, which helps the student understand symptoms and how to use holistic methods of treatment. The student must complete seven levels. Each level is an independent module; therefore, the student may take them out of sequence except for Level VII (clinical). The student will interview the client, perform observations (Hara, Face & Tongue) test remedies and make recommendations. The student will interview the client, perform observations (Iridology, Hara, Face & Tongue) test remedies and make recommendations. The student will interview the client, perform observations(Pulse, Iridology, Hara, Face & Tongue) test remedies and make recommendations. The student must complete ten levels. Each level is an independent module; therefore, the student may take them out of sequence except for Level VIII to X (clinical). After the completion of the program a student can sit for an exam with the American Naturopathic and Holistic Association. This course is a pre-requisite for our Naturopathy program, which is approved by the State of Maryland. Learn the truth about the different types of fats and sugars and how they affect our body. Learn how to prepare highly nutritious food with fat and the right kind of carbohydrates. The student will be supervised by a Naturopath while working with clients. Hand out recipes for clients to try. Five clinical cases are required. Certification by ANHA** requires a written exam and levels I-VI. and work with Higher Beings. This level familiarizes the student with each system of the human physiology and introduces the world of medical terminology. This level will help the student understand the client’s description of symptoms and understand physician’s diagnosis. Module 12 & 13: Stress Management - Learn about visualization, meditation, guided imagery, energy work and aromatherapy for stress. Module 21: Herbal and Supplement interactions – Learn the safety of using supplements, herbs and essential oils with other medications. Module 22: Business & Ethics – Learn the scope of your practice based on your profession and other certifications. Module 23 & 24: Experiential Learning – Work with the instructor on how to work with a client. Submit 10 client cases. The student will work with ten clients along with a supervising practitioner, and be able to participate in analysis and observe the dynamics of working with a client. Each homeopathic interview is unique, the student will understand how to deal with a potentially complex situation. The use of magnets to balance human energies will be presented in this class. Lecture material will include the Oriental meridian systems and how to apply the magnets to these meridians and their acupoints. Also learn about history, appropriate strengths, north and south polarity, length of treatment, low energy detection, and magnetic application. Magnetic Therapy I - History, theory, studies, and symptom treatment. Magnetic Therapy II - The polarity of metals and a one hour magnetic session. Magnetic Therapy III - Advanced magnetic application. Massage therapists enlighten couples with information on body mechanics & massage styles before leading a 1.5 hours of hands-on demonstrations. Under the tutelage of licensed and certified massage therapists partners will settle into a two-hour crash course covering massage techniques, muscle manipulation, and sleight of hand in a small group of like-minded pairs. Make tension disappear with knowledge of body mechanics, endangerment sites, and techniques such as deep tissue, petrissage, effleurage, and trigger point. Students spend the first 30 minutes ingesting info as a group before putting their lessons into practice during 1.5 hours of hands-on demonstration. Instructors work with each couple to guide them through the finer points of Swedish strokes, compression techniques, and untying knotted up muscles into a relaxed carefree way. The course is taught in a small classroom setting. Students should report to the class in confortable form fitted exercise clothing such as tank tops, shorts, or yoga pants. Massage therapists, Board Certified Practitioners and Teachers enlighten couples with information on body mechanics & massage styles before leading to hands-on demonstrations. Under the tutelage of teacher partners will settle into a 1 and ½ hour crash course covering seated massage techniques, muscle manipulation, and sleight of hand in a small group of like-minded pairs. Make tension disappear with knowledge of body mechanics, endangerment sites, and techniques such as deep tissue, petrissage, effleurage, and trigger point. Students spend the first 30 minutes ingesting information as a group before putting their lessons into practice during a 1 hour of hands-on demonstration. Instructors work with the couples to guide them through the finer points of Swedish strokes, compression techniques, and untying knotted up muscles into a relaxed carefree way. Explore another level of communication with those closest to you. This 3-hour class will focus on increasing awareness of self and your significant other during the energetic exchange that occurs through using Swedish massage. You will learn to apply specific strokes and how to adjust your body and your pressure so your body doesn't hurt after giving a massage. Relax, heal and rejuvenate. This fun experiential class is the gift that keeps on giving! Please come to the class in comfortable clothing such as yoga attire. Taught by Kiona Cloud, a graduate of the Potomac Massage Training institute and 9 year veteran teaching this class. The history behind relaxation therapy and the beginning techniques used in visualization in the reduction stress, depression, and phobias will be presented in the course. The class will include lecture and practical experience. Visualization techniques, relaxation therapy, and eye focusing techniques are introduced in this class. These techniques promote relaxation, assist in phobias, and stimulate a positive thought process. It does not replace the care of a medical doctor or psychotherapist. Visualization and other Mind/Body Medicine techniques are useful in helping the practitioner assist the client to change habits, relieve panic attacks, phobias and relieve stress. Each participant will be able to practice more visualization techniques. Client volunteers will work with participants while supervised by the teacher. The 1000 hours of supervised clinical training is a part time program that is completed in approximately 36 months. An accelerated 24-month program can also be selected. The program will cover the following core components based upon the needs of the clients in the clinical setting. Client Consultation Procedures: case taking, client intake, interview, and history taking. Treatment of common ailments and diseases through: homeopathy, herbology, acupressure, energy work, guided imagery, and aromatherapy. Oriental observation of the: tongue, skin, and pulse – the study of oriental energy (chi) produced by the client. This course, independently, does not lead to employment. Prior certifications in natural health care are required prior to admission. The study of disease base on natural health care theories. A system or method of treating disease and evaluating the underlying cause of a disease that employs no surgery or synthetic drugs. 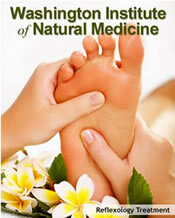 It is the study of the origin, nature, and course of diseases as it relates to natural health care. It evaluates through: tongue study, pulse study, kinesiology, hara study, bio-energy field testing, visual observation, urine/stool/ blood study, and related assessment tools typically used by Naturopathologists. Upon review of all of the assessments the practitioner will end the consultation with a verbal report of finding. Within that report the practitioner will inform the client of specific needs to promote and improvement a positive life style. Examples of the results given within the report of findings will include the use of special foods, herbs, vitamins, homeopathics, bodywork techniques, mind body therapies or other related health care techniques. These therapies are given to assist the natural healing processes and promote balance. Upon completion of the program the practitioner can be certified by the federal CLIA administration of the federal government by way of their local state health department. At that point the practitioner is approved to collect specimens and perform tests under their certification. In addition specimens can be collected to be sent to labs of advanced certification levels approved by CLIA. The objective of this course is to exposes the students to the theories, ideas and principles of Naturopathy as utilized in the practice of Naturopathic Medicine. At the conclusion of this course the student will be able to iterate the basic fundamentals of naturopathic philosophy, answer the “naturopathic question”, and utilize naturopathic philosophy in their life as a guide. Qualify and test for the American Reflexology Certification Board, the highest standard of credentials in reflexology recognized through out the United States. *American Naturopathic and Holistic Association is a peer reviewed organization for professional health care practitioners and natural health care training institutions. Reflexologists enlighten couples with information on acupressure techniques used in the hands and feet before leading to a 1 hour of hands-on demonstrations. In this cours the student will learn how to stimulate and balance organ systems by learning the mapping of the feet and hands. Under the tutelage of certified reflexologists partners will settle into a 1 and ½ hour crash course covering reflexolgy techniques and sleight of hand in a small group of like-minded pairs. Make tension disappear with knowledge of pressure points in the hands and feet. Students spend the first 30 minutes ingesting information as a group before putting their lessons into practice during 1 hour hands-on demonstration and practice. Instructors work with each couple to guide them through the finer points of hand and foot therapy in a relaxed carefree way. The Supplements class presents the benefits to various vitamins, supplements and minerals. These supplements aid in the natural healing. Level 1: Learn about hands-on healing and caring for those with a variety of disorders through touch. Become aquainted with the history of healing, Reiki, subo points and how you can use this knowledge to care for others. This class will instruct students in the full treatment process. They will learn how to give a complete touch therapy session. Level 2: A variety of styles of energy healing techniques will be presented in this class. Learn about sending energy through the Chinese meridian systems. Level 3: Additional healing techniques and instructor training will be presented in this class. Students will receive further training in the healing arts. Two-day class includes developing skills on client assessment, coaching skills and interviewing skills. Student will receive checklist and client intake forms. Two-day class includes experiential case study, role-play and clinical work with four clients. Additional subjects covered: appropriate language for non licensed practitioners, and terminology necessary when not permitted to diagnose a physical or mental condition. Two-day class includes discussion and practical experience of exercises you can recommend to clients. Discussion of body work and other techniques that are useful for stress management. Students will experience meditation and visualization sessions. Role play to help the student learn to conduct meditation and visualization sessions. Aromatherapy and music is part of the experience. The following subjects covered are: professional conduct, legal practice, client confidentiality, advertising, informed consent and client intake forms. Educational and Employment Services Licensed, Washington, D.C.